As an economic system, fascism is socialism with a capitalist veneer. The word derives from fasces, the Roman symbol of collectivism and power: a tied bundle of rods with a protruding ax. 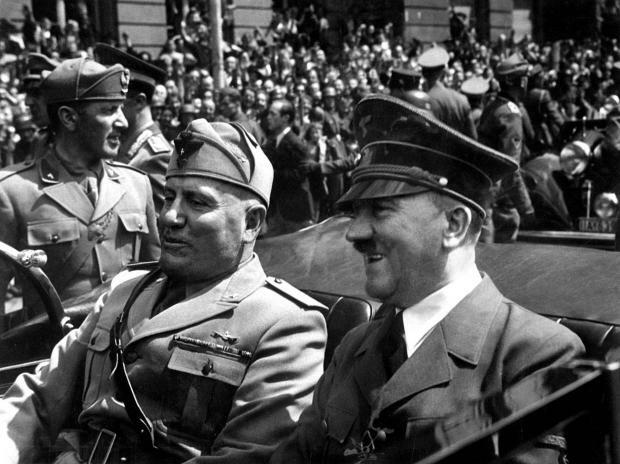 In its day (the 1920s and 1930s), fascism was seen as the happy medium between boom-and-bust-prone liberal capitalism, with its alleged class conflict, wasteful competition, and profit-oriented egoism, and revolutionary Marxism, with its violent and socially divisive persecution of the bourgeoisie. Fascism substituted the particularity of nationalism and racialism—"blood and soil"—for the internationalism of both classical liberalism and Marxism.